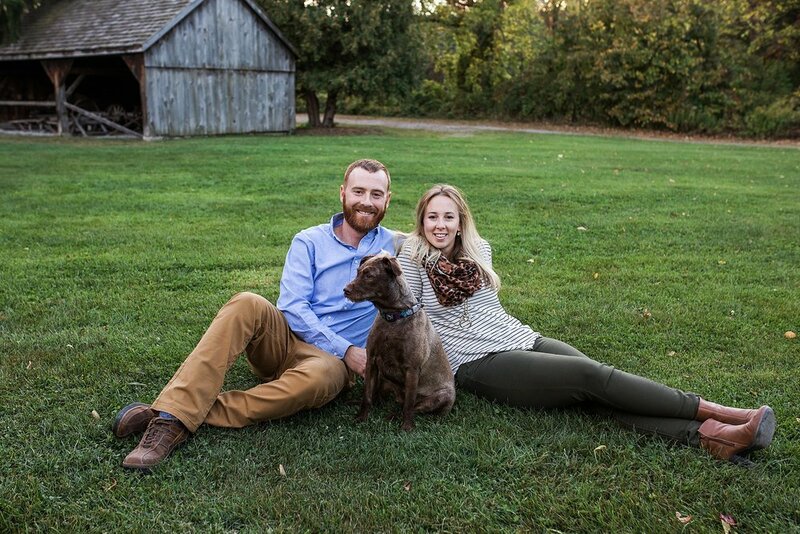 HAPPY WEDDING DAY TO THESE TWO! 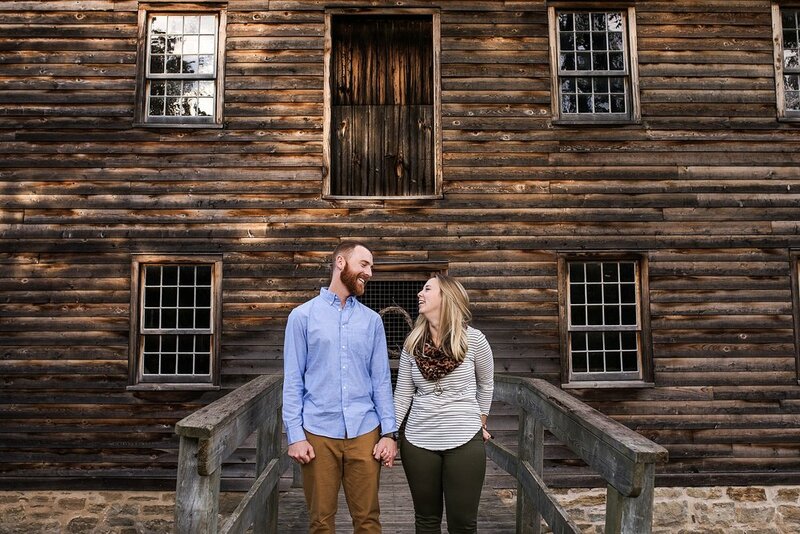 What better time to share this adorable fall engagement session than on their wedding day! 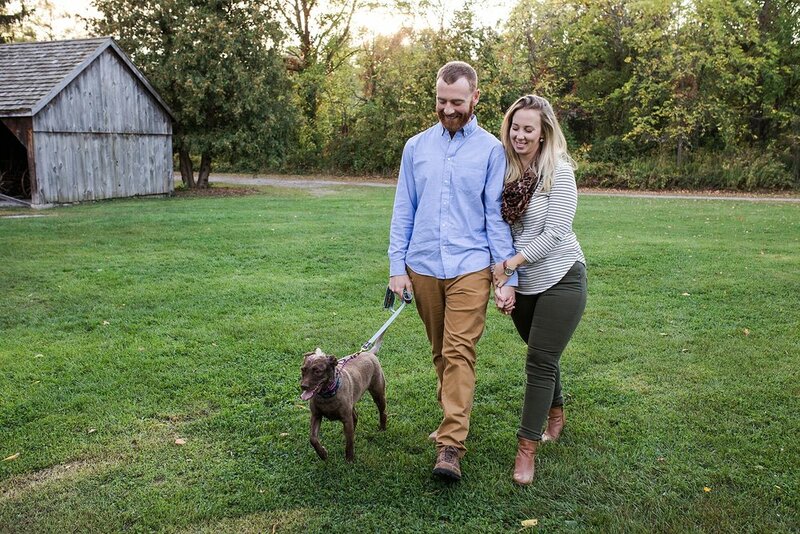 Tyler and Kaitlyn are a blast to work with and we had a great time walking around at Balls Falls and taking photos with their pup, who has a killer natural hair style. The falls were dry at the time, so we were able to explore up top which allowed us to get some unique angles and backgrounds that you can't usually get at this location. 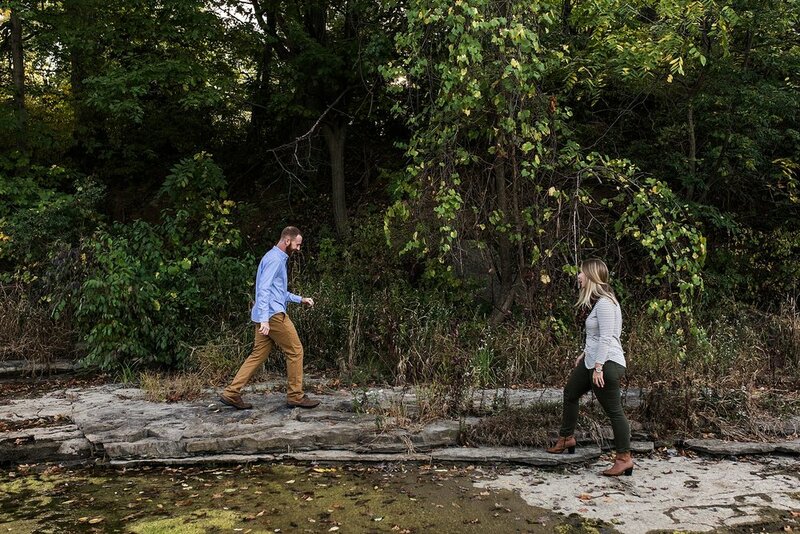 Balls Falls is a popular spot and for good reason, and every time I shoot there I challenge myself to find new backdrops to use to keep it fresh, and not just for myself but for my clients too! I love this session because it was just fun and has such an easy going feel to it.